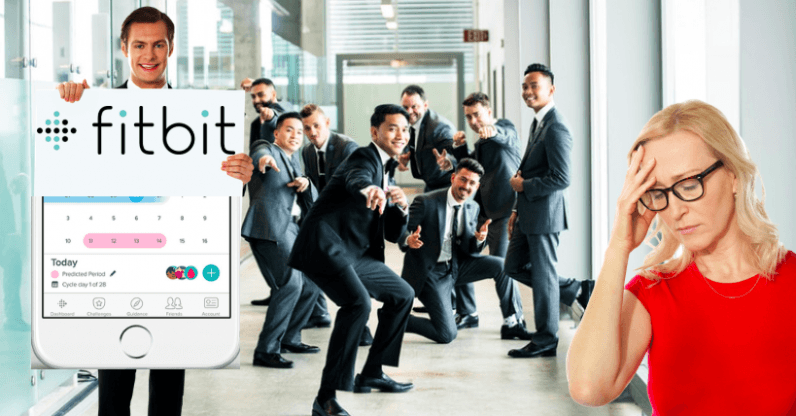 Once again it has being proven that more women are needed in tech after Fitbit’s period tracking feature only allows women to log their menstrual cycle if it lasted for 10 days or fewer. How long does your period last? Five days? A week? Two weeks? A month? It’s a question that doesn’t have a consistent answer month by month. Your cycle can alter depending on your lifestyle and type of contraception. Not to mention the obvious, but every woman’s body is different. Or maybe this isn’t so obvious for the guys behind Fitbit’s latest menstrual tracking feature. Fitbit has been around since 2010 and in its time has sold more than 75 million devices globally. The period health tracking feature however, was only added onto Fitbit’s devices in May 2018. Why did it take eight years to introduce the feature when women have been tracking their periods since the beginning of time? The feature works in a similar way to other fertility and period tracking apps like the disastrous Natural Cycles. It tracks a woman’s period length (unless it’s over 10 days), it will then send notifications two days before the user’s period is due to start and it also claims to provide information about fertility, but don’t get me started on that. For the millions of women out there who suffer from conditions like Endometriosis – this condition makes a woman’s period length vary from 21 to 35 days – the period tracking feature therefore becomes difficult to use with the current limitation. Asides from the limited time you’re allowed to be on your period for, the menstruation tracker only allows a user to choose from five period “conditions” (or as we call them, symptoms). These include, acne, headache, tender breasts, or sickness. Whilst these symptoms are what can happen to a woman during her menstruation, it seems that Fitbit have forgotten to mention the other common issues like food cravings, cramps, bloating, moods, muscle aches, tiredness, and stress (the list goes on). Twitter user @Stephanenney took to Twitter when she noticed her FitBit set limitations to the length of her cycle. After attempting to extend the length, she was greeted with a notification explaining, “Periods should be between one and 10 days” with the two options been “OK” and “Cancel”. Nothing like an app telling you what your period should be like, eh? Fitbit announced that any users concerned about the limited period tracker should go to the suggestions board which welcomed many users expressing their anger towards the limitation. Some of Fitbit’s moderators have joined in the discussion and agreed at times but currently, Fitbit have showed no signs of modifying the feature. While it’s great that leading fitness companies like Fitbit are finally paying attention to women’s health, this particular feature was set up to fail due to ignorant research (and the apparent lack of female employees). This feature had the potential to provide interesting data about a women’s body and what happens during their cycle. Until this feature gets a needed update, and then another one, I’ll stick to using my calendar.